Whilst Prague’s architectural beauty is undeniable, the December to January Christmas Markets are an incomparable European tradition which one cannot miss. At this time of year, the once bare Old Town Square is now bedecked with Christmas ornaments and lights. There lay the symbolical Christmas tree with a Nativity scene and stable. To fully imbibe the festive spirit, the occasional Classical and Folk music and Christmas carols are played and performed. Spaces are occupied by artisanal stalls enriched with traditional Czech products, completing the Christmas Market. Bird’s eye view of the Old Town Square, Prague. By the Nativity scene is a stable which houses a sheep, llama, and donkey open for animal petting and picture-taking. Light animations; choir and theater performances; and lighting of Christmas Tree tradition comprise of the program meant to be consumed by children and the child at heart. Perhaps, the core of the Christmas market is rooted from the traditional and local foods served for everyone’s enjoyment. Fresh and hot trdelnik (European spit cake made from grilled rolled dough wrapped around a stick, topped with sugar and walnut mix); juicy and meaty blood sausages and smoked ham; and the smooth and bittersweet Medovina (honey liquor or golden mead), are must-tries for a Czech gastronomical adventure. Fairy tale-like hand-blown and painted glass balls and wooden carved toys are also some of the unique market finds. Trdlenik, commonly known as a chimney cake, cooked by a charcoal grill. Pair this eat with a glass of Medovina or Svarak (mulled wine). Prague simultaneously hosts Christmas Markets at point locations within the city. Locals and tourists may visit the main markets at the Old Town Square and Wenceslas Square and the smaller markets in Republiky Square and Peace Square. This holiday season, you and your family can experience a different kind of Christmas celebration and tradition with the TWIrista Christmas Markets of Europe packages. 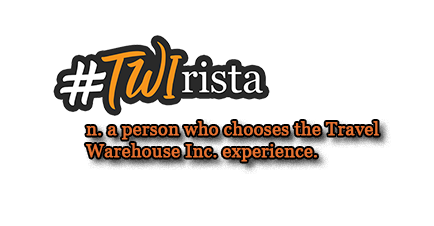 Also, the TWIrista Card is our gift suggestion especially made for your wandering friends and loved ones. This entry was posted in European Tours. Tagged Alpine Christmas Market, artisan, Austria, Bavaria, celebration, Christmas, Christmas Market, Czech Republic, December, Europe, festivities, Germany, January, local foods, Medovina, Nativity, Old Town Sqaure, Poland, Prague, Svarak, tour, tradition, travel, Trdelnik, TWI, Wenceslas Square.